I can’t believe Father’s Day is this weekend. One of the things that I like to do is try to purchase the Mister’s gift in advance. However, sometimes things don’t go as planned. Today I’m sharing with you some of my favorite items of 2018 that are perfect for the men in your life whether it be your father, boyfriend, husband, and/or son. 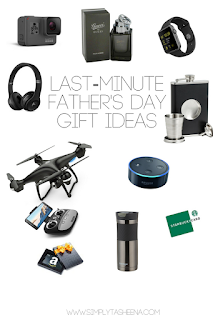 These are gifts that they truly would love and I highly suggest you save them in your Amazon account so you always have an idea of just various items that you can get for that special person. 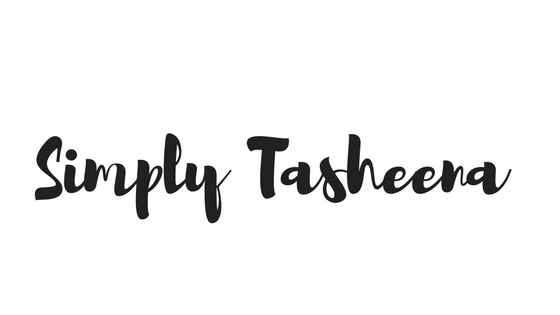 I know for me a lot of times it’s so hard because it feels like they pretty much have everything so what I do is create a category on Pinterest and Amazon of different items that I can get for them. Whether it’s a simple thank you, birthday, or anniversary gift. I have a list of items that I know that they would possibly love and of course you can always go with a gift card to their favorite store. But let’s be honest sometimes that gets a little played out. You have lots of great ideas here. I have been struggling with what to get my hubby this year, so I will have to get him something from your awesome list. We just recently got a pair of hydro flask and we cannot get enough of it. I know hubby is into sports and outdoor music so j got him wireless earphones. That drone though is totally an eye candy!!! That drone would certainly keep all the men in the family busy all day long. We would have to give it to him after the BBQ or nobody will be eating just playing with the drone. These are all great ideas! Last year I got a drone for my hubby... and he broke it in a day! Told him I will not give him nice toys until he learns to take care of them ROFL!! I love these ideas and they have a range that anyone could use to find a gift. We never had a drone so this looks like a great choice for dad and his son to share. My husband would love any and all of these! We got him a drone last year and boy, he loves that thing! Also, we got him a remote speed boat to play with on the lake. I love these ideas. My husband wants a drone. Maybe I'll surprise him with one. We shall see. I do know he'll be getting some candy! My husband could actually use a Starbucks gift card and there's one right near out place. Okay, officially adding it to his gift! This is such a great list of gift ideas! It's always a struggle for me to shop for gifts because I don't know what else to get my loved ones. I got my son in law a similar drone for Christmas and he loved it. It's a great gift idea for techy guys. My dad is in his senior years but his liking for the latest gadgets keeps him busy, tinkering how it works and certainly making his brain active. This is a great list! Oh, this is such a great Father's day gift suggestion. My colleague buy her hubby a smart watch and one is a perfume. Dad already told us what he likes and I guess I can add a tumbler too. We don't really do Father's Day gifts in my family but it we did I would surely find something here!! This is a great roundup of gifts!! A hammock is a great idea. I dunno how we can hang it in our porch but I would love one. Gift shopping is such a chore sometimes, when you're struggling about what to get loved ones! I really love this list of yours for Father's day! I always have such a hard time trying to decide on a gift for my dad. It's just easier to shop for women when well because, im a woman lol. Thanks for sharing! These are such great Father's Day ideas. I especially love that drone!